rpose of funding the construction or reconstruction of school facilities. The basis of the school facilities legislation is the relationship between new development, and the impact on school districts to provide adequate school facilities for the student population new development generates. 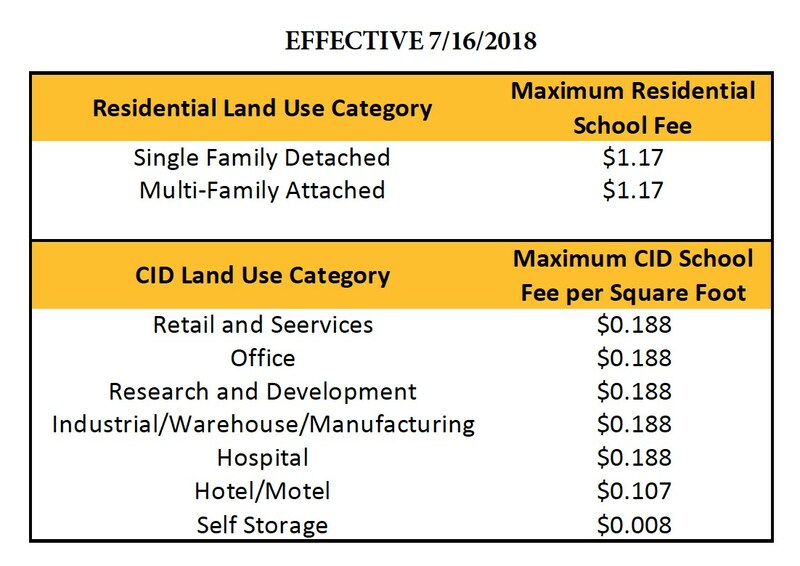 The authority for the District’s assessment of developer fees is set forth in Education Code Section 17620, pursuant to Government Code 65995. Developer fee rates are reevaluated every two years through the Developer Fee Study process. The results of these studies dictate the rates levied by the district. You can find our Fee Study Reports and current Developer Fee Rates in the links on the left hand side. In order to pay your fees please bring your Certificate of Compliance Form issued by the Planning and Development Office of Santa Barbara County and cash or a cashiers check for the amount of the proposed square footage multiplied by the applicable fee rate to the Business Office. Our office is open from 8:00 to 3:30 for the collection of these fees.